The holocaust-revisionist and chief Iranian diplomat wrote in The Guardian Friday that “Now it is high time that we expand” a nuclear free zone “to encompass the entire Middle East.” Israel is the only country suspected of having nuclear weapons in the Middle East proper, although Jerusalem officials neither confirm or deny the reports. Zarif said that the denuclearization process could build on the “foundation” reached in the nuclear accord between world powers and Iran. 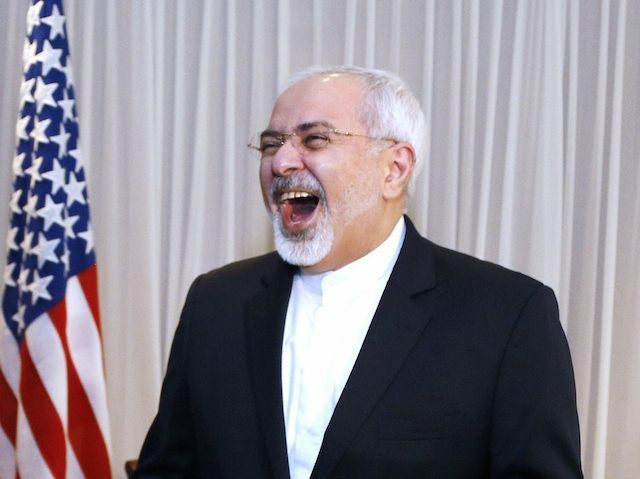 Although Iran continues to enrich uranium that far exceeds its use for medical purposes, Zarif and Tehran officials insist that their nuclear program is peaceful, citing a never-seen fatwa supposedly declared by Iranian dictator Ali Khamenei. It remains unclear if Israeli officials will absorb Zarif’s plea for denuclearization, given that the regime the Tehran minister represents showcases high-ranking officials, on a regular-basis, calling for the annihilation of the Jewish State. On a related note, Iran announced plans on Thursday to build two new nuclear facilities in the country’s southeast, which regime officials say will be used to generate electricity and help power other infrastructure, which might include uranium enrichment facilities.